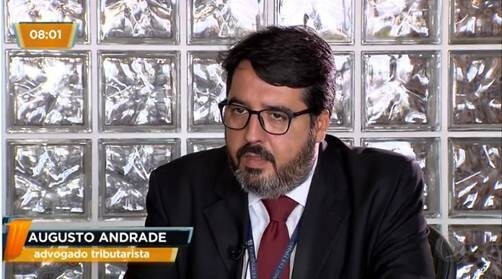 Therefore, TV Record Rio invited the partner and manager of the Individuals’ Department at Domingues e Pinho Contadores, Augusto Andrade, for an interview on this subject. He gave tips for taxpayers not to fall into the "fine mesh". We are on the eve of the income tax return period, which will be from March 07to April 30. This is an always delicate moment and of many doubts for taxpayers. Therefore, TV Record Rio invited the partner and manager of the Individuals’ Department at Domingues e Pinho Contadores, Augusto Andrade, for an interview on this subject. He gave tips for taxpayers not to fall into the "fine mesh". After all, only in the last year, about 600,000 statements were retained.